It is hoped that its findings will stimulate understanding of the sector across a range of important stakeholders including government and politicians, international partner bodies, together with historic vehicle enthusiasts and interested members of the British population. The reports include a very detailed picture of national interest in historic vehicles, as well as an exploration of historic vehicle characteristics and owner spending patterns together with an update on employment trends and employer perspectives towards the sector. 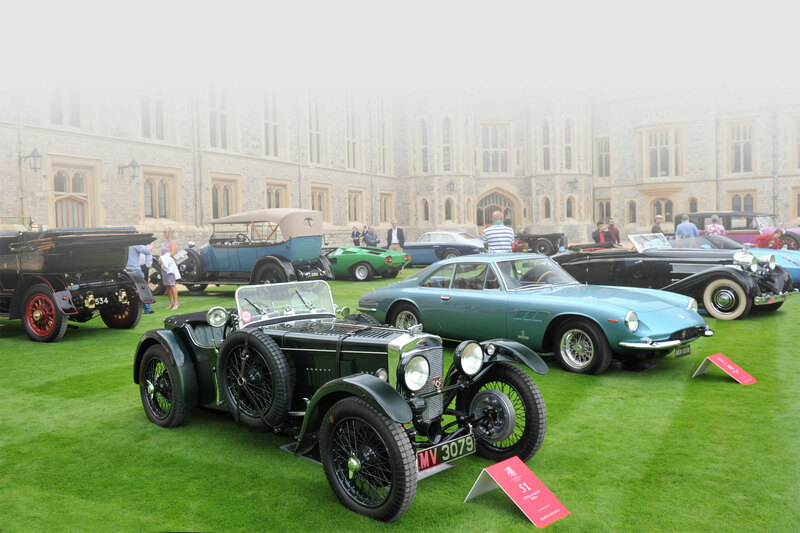 Local impact assessments for the International Autojumble at Beaulieu and for the Goodwood Revival Meeting (both of which took place in September 2012) have been analysed in collaboration with the University of Brighton. The results of the Beaulieu International Autojumble impact report can be downloaded here. The study found that the annual Beaulieu International Autojumble created a local economic benefit of £3 million to the New Forest area. It further concluded that the event provided direct temporary employment in the region for over 220 people and also benefited local hotels and guest houses, being directly responsible for over 11,000 person nights of accommodation. It is truly international and in 2012, the year of this study, it attracted more than 38,000 visitors, nearly a quarter of whom came from overseas. Held over three days in September, the autojumble was responsible for over £11 million turnover for the national economy and contributed over half a million pounds to the UK Treasury through VAT. The report was unveiled in February 2013 at a press conference held at the National Motor Museum, Beaulieu. The Goodwood Revival Study was unveiled by Lord March at the press launch for the 2013 Festival of Speed and Revival Meeting. It found that the annual Goodwood Revival brings a conservative £12 million of business to the local area, including Chichester and Bognor Regis to the south of Goodwood, and Petersfield and Midhurst to the north. In addition, the FBHVC and University of Brighton research found that the 2012 Goodwood Revival was responsible for a healthy £32 million turnover for the national UK economy, net of VAT, with over £4 million generated in VAT to Government revenue. The event also led to direct temporary employment for more than 350 people. The independent study also revealed that the Goodwood Revival generates over 23,000 ‘person nights’ of accommodation for local hotels and guests houses, plus a further 25,000 person nights locally outside of the 20km radius study area. The full report can be downloaded here. The economic impact study of the 4th European Healey Meeting at Crieff in May and June 2013, in the words of Lord Steel in the forward to the report, broke new ground for the FBHVC. Previous studies had been broad based, assessing either the generality of historic vehicle activity in the UK or the specific local benefits of major events that attract large numbers of the general public. This study was narrow in its focus, concentrated on one marque of car, Austin Healey, and with insignificant public participation. It also for the first time explored the more northerly extremities of the country. A further assessment of the British historic vehicle movement undertaken in conjunction with the Historic Vehicle Research Institute. This project was carried out by Dr Paul Frost, Dr Chris Hart and Dr Jaime Kaminski supported by past Federation Secretary, Jim Whyman. Data was obtained by questionnaires (electronic and paper) submitted to traders, clubs, club members, museums and individuals. The presentation of the report to politicians and media took place in the House of Lords on 6 December 2011 at a reception hosted by Federation President Lord Montagu of Beaulieu who is also President of the All Party Parliamentary Historic Vehicle Group. The presentation of the report took place at a press conference in Brighton hosted by the Royal Automobile Club on 22 September 2011. The presentation of the report to politicians and media took place in the House of Commons on 11 October 2006. The presentation of the report to EU politicians and media took place at the Hotel de Ville, Brussels on 4 October 2006. The presentation of the report to politicians and the media took place in the House of Lords on 13 November 1997.